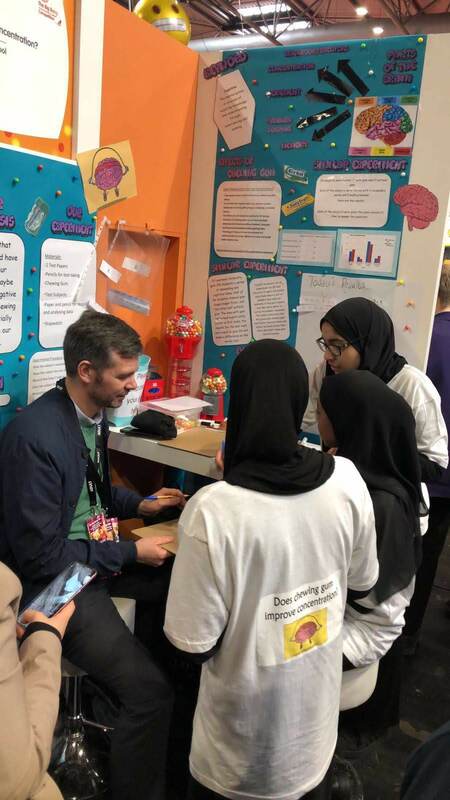 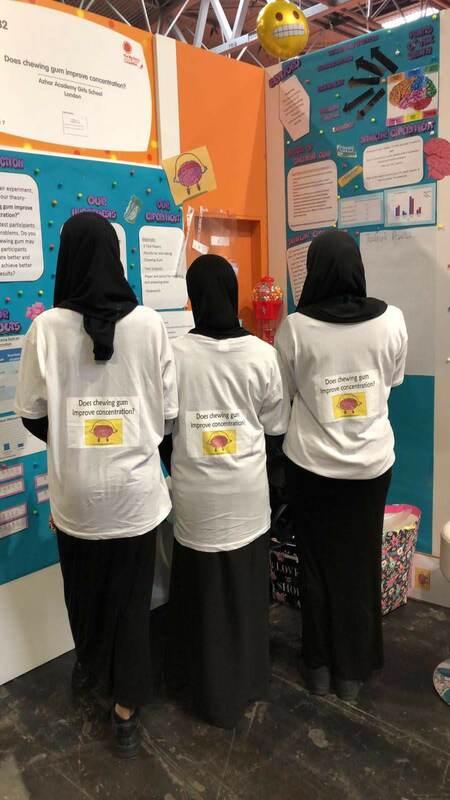 Azhar Academy Girls School selected as Finalists for the Big Bang Science Fair held in Birmingham on 12th -14th March 2019. 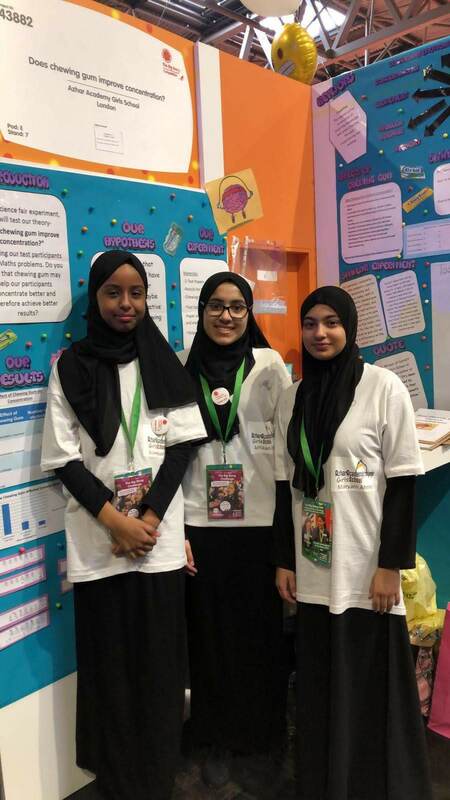 3 students from Azhar Academy Girls School were selected as finalists to go through to the Big Bang regional heats held at Newham college. They attended the finals in Birmingham during Science week last week. Their project titled ‘ Does chewing gum improve concentration’ was well received by teachers, educators and competitors. 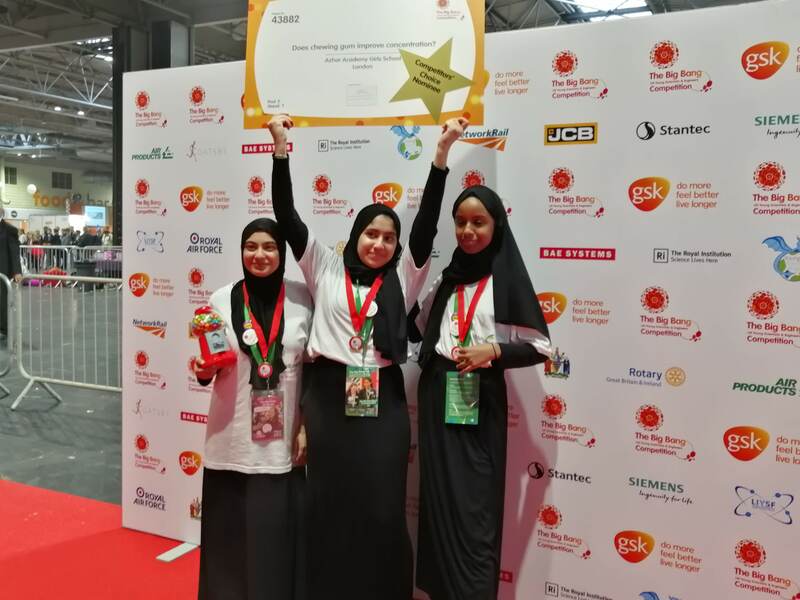 They represented East London. 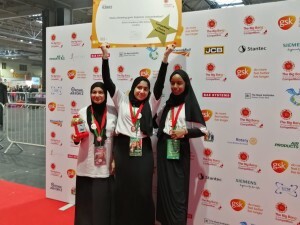 They were also one of 5 groups who were nominated for the Competitors choice awards.